The present portrait of the king's favorite by court sculptor Augustin Pajou (1730-1809) became the basis for his career as a portraitist of women. The queen having engaged Jean-Baptiste II Lemoyne to sculpt her portrait (exhibited at the Salon of 1771), Madame du Barry turned to Pajou for a similar commission. From this commission came other commissions for her pavilion at Louveciennes, the interiors of which were completed in 1773. For this country retreat, Pajou produced a variety of pieces, both portraiture and decorative additions to the interiors. See James David Draper and Guilhem Scherf, Augustin Pajou, Royal Sculptor 1730-1809, Exhibition Catalogue, Metropolitan Museum of Art, New York, 1997, pp. 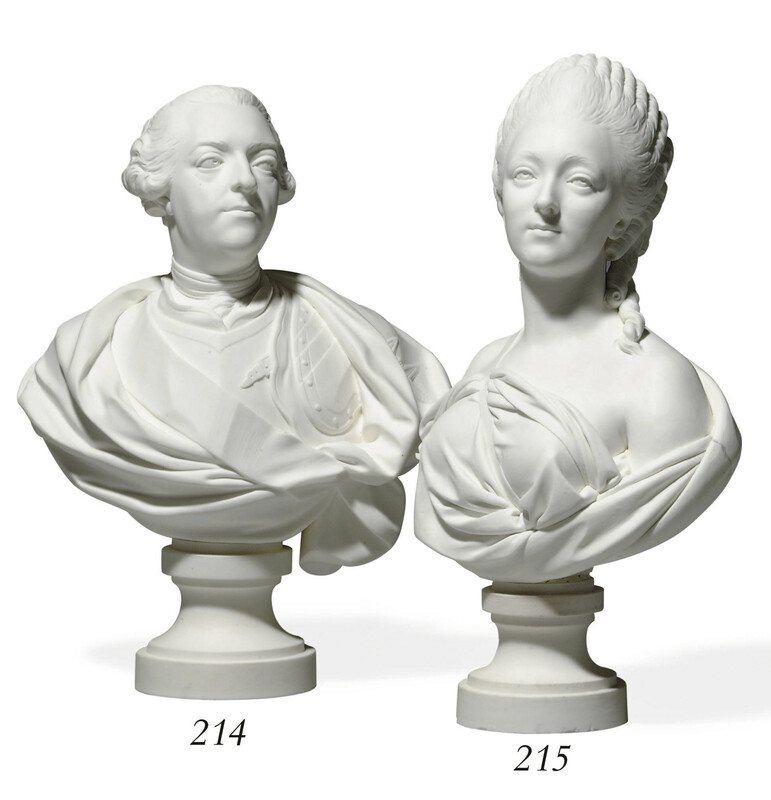 237-246 for a discussion of Pajou's relationship with Madame du Barry and a detail discussion of the marble portrait on which the present biscuit version is based. According to the Sèvres factory records, Madame du Barry herself purchased examples of her portrait at the Christmas sale held at Versailles in 1771 (Register Vy 5, folios 17-17vo).